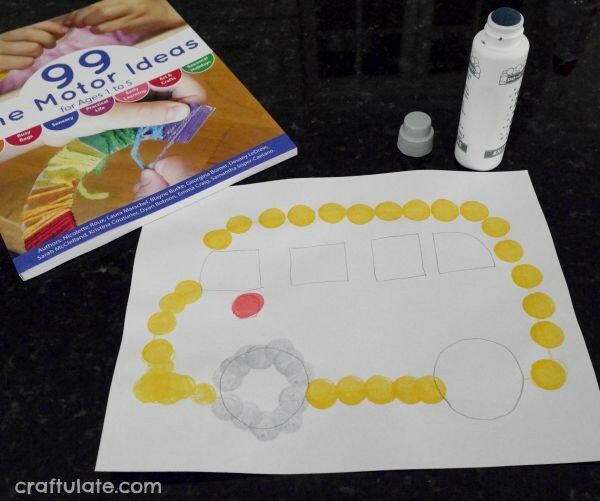 This activity was inspired by our book, 99 Fine Motor Ideas when I was looking through it the other day. There are still SO many ideas that I want to try! The activity was “Dot & Cut” from the Early Learning section. 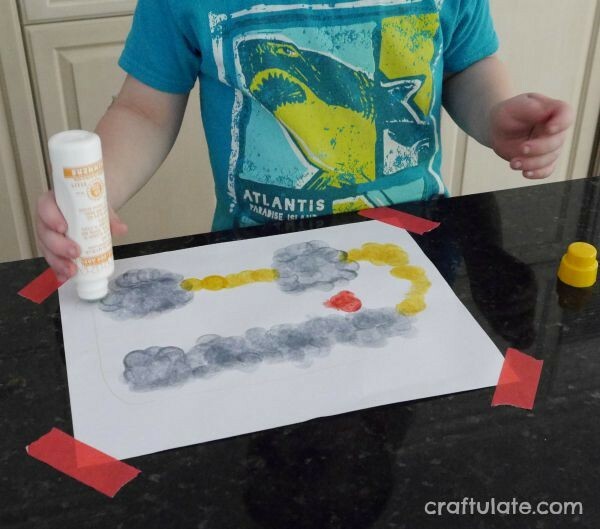 The aim of the activity is to work on hand-eye coordination with aiming dot markers onto a pre-drawn line, then using scissors to cut out the shape. The original activity used spirals, arches and zigzags, but I changed it up a bit and went with a school bus! I sketched out a picture of a school bus using coloured pencils. I actually made two – because I often like to do an activity alongside my son and he doesn’t want me working on his version! I showed him how to use the dot markers to outline the bus picture. We used some shimmery dot markers and they looked lovely! F started with the red stop sign, then went on to the silver wheels and windows. I was so impressed how carefully he did each dot – he did it with so much precision! Unfortunately it then turned rather messy around the windows and wheels, because he had decided he wanted to colour them in rather than outline. Next he used the yellow/gold dot marker, again very carefully. He even added in some wheel arches! 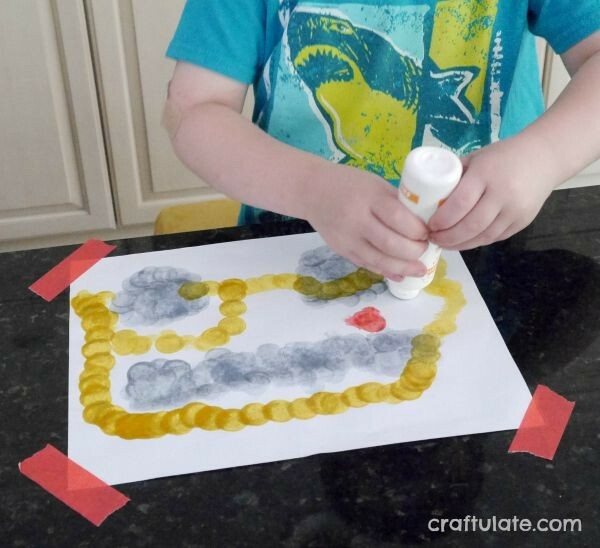 When the dots had dried, we cut out the buses – this worked on a different fine motor skill!